Aaah, end of year. Holiday cheers, festive lights, quality time with family, and oh yeah, tax reform. While there was a lot of activity as the year came to a close, the biggest thing to happen this month is tax reform. One the main talking points for Queens realtors and their respective customers right now is the new tax reform bill and How it will affect us. How it will impact the market is hard to say, however, given that we are a high cost area with state & local taxes, you can safely assume that we will see some type of impact. The good news is that our property taxes aren’t that high as areas like New Jersey, Long Island, Connecticut, etc. Either way, the fact that property, state & local income as well as sales taxes are capped at $10K for deduction purposes, means that some of the tax benefits of home ownership have been slightly diminished. The National Association of Realtors is now predicting slower growth in home prices nationwide in 2018. However, in some high cost, high tax markets they are actually predicting price declines. This comes as a result of the legislation’s new restrictions on mortgage interest and state and local taxes. *Month’s supply over 6 months is said to favor buyers. Month’s supply below 6 months is said to favor sellers. And month’s supply of 5-6 months is said to be a balanced market. Keep in mind that month’s supply can vary by neighborhood and property type. The Long Island Board of Realtors reported Queens home sales at a rate of approximately 692 homes during the month of November. This was an decrease of 13.3 percent from October and a decrease of 4 percent from November of last year. Specifically, our December 2017 Queens real estate market report shows that Residential home sales were UP 10.8%, Queens Condo sales were DOWN 29.1%, and Queens Coop sales were DOWN 20.1% compared to this time last year. Over the last 12 months, Queens home sales are DOWN .2%. The median home price increased to $564,500 in November, which is an increase of .8 percent from last month, and up 19.6 percent compared to the same month last year. The median home price has increased by approximately $92,700 in the past year alone. Specifically, our December 2017 Queens real estate market report shows that Queens residential home prices are UP 5.5%, Queens Condo prices are UP 3%, and Queens Coop prices are UP 6% compared to the same month last year. Over the last 12 months, Home prices in Queens are UP 11.4%. The appreciation rate in Queens has continued to be significantly over the national average and above what most economists would consider healthy home price appreciation (4-5%). There is currently a 4.6-month supply of housing inventory in Queens, this is down from the 4.9-month supply we had last month. The total number of homes for sale in Queens (3,484) decreased by 5 percent compared to last month, however, inventory is up 5.1% over the same month last year when there were 3,316 homes for sale in Queens. 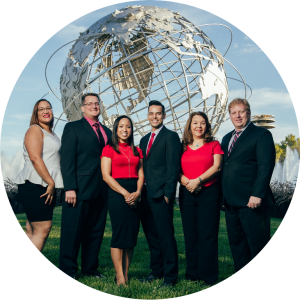 December 2017 Queens real estate market report, courtesy of the Queens Home Team at Keller Williams Realty Landmark II.